The relationship that documentary cinema has with truth, realism and subjectivity has long been a lively debate. Likely since its origins as a medium (do a quick Google search about Nanook of the North‘s impact and also its staged shots, for example). Documentary sound design is an often overlooked aspect of the craft that inhabits a particularly interesting and sometimes invisible corner of the debate. 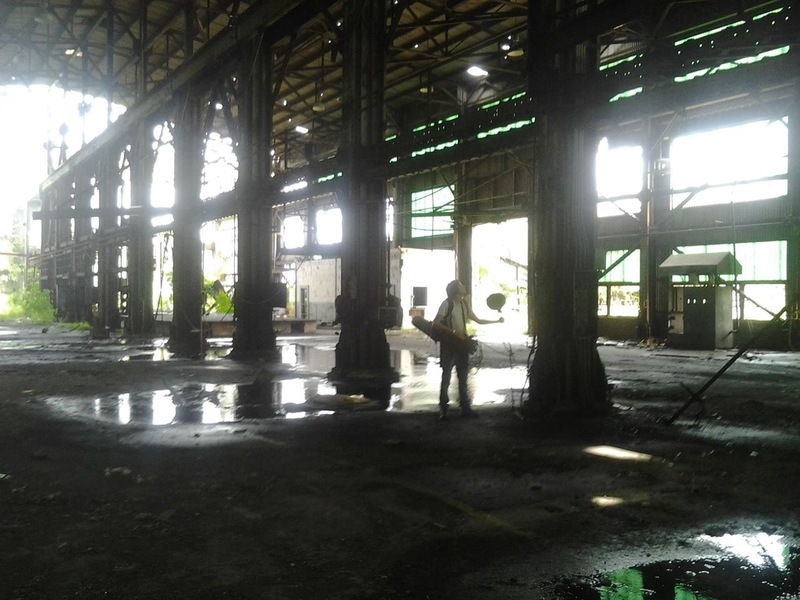 In narrative films, sound design largely fabricates fictional environments, but in documentary cinema we as sound editors, designers, and mixers are often tasked with designing a reality for, well, reality, as it were. But whose reality? And what even IS documentary reality in the end? Where is that line drawn between immersive world-building that makes a film come alive, versus blatant misdirection and manipulation of the audience? Is it possible that the realities we build can ultimately be more real than the reality of the moment a scene was shot? (And is recording documentary sound on a commonly mono shotgun mic plus lav even a particularly accurate way of capturing reality?) Is the emotion of a scene more true than the literal fact of a scene? These are fun questions to ponder, and the debates they fuel are constructive and worth engaging in, but before we go too far down the road, I’ll cut to the chase and say loudly: none of that matters. As a sound editor, sound designer or re-recording mixer beginning audio post on a new documentary project, the one thing that matters most is what the director’s viewpoint on truth and reality is. Each person’s barometer is set differently, and finding out the director’s stance will dictate both the style and amount of creative sound editorial a project needs. Once that is established the fun begins, and as long as we are fulfilling the director’s vision we can work without worry about the ethics of ‘truth-telling’ as we layer sounds and build background elements and detail the sonic worlds of the film. Now you might stop me and question how this is any different from a fiction film project, and my common answer is that, generally, it’s not. My approach to fiction versus nonfiction as a sound editor and re-recording mixer is very similar. My session templates are similar, my workflows are similar, with the main differences being a lack of alternate dialogue takes (which gets tricky for the dialogue edit, as often the production sound on nonfiction films is rougher than most narratives due to the run-and-gun nature of documentary filming), and generally budgets are lower which leads to smaller crews. Often we don’t do as much foley for a documentary as we would a fiction film, but I also try and draw a lot more useable production sound into the mix for movements and handling instead. But I’ll cut footsteps, hard FX, sound design, and layered ambiances for documentaries just like I would a fiction film, with the very important caveat if the film style calls for it. In some ways it’s unfair that fiction gets categories like action, sci-fi, fantasy, and drama, while documentary just gets ‘documentary’. But within the broad sweep of nonfiction there are subgenres or styles of every kind. There is reality TV, cinema vérité, concert films, docudramas, talking heads, POV action cams, and dozens of hybrid forms. The sensory abstraction in Leviathan is strikingly different than the dramatic reconstructions of The Imposter, versus the strict voice-on-top-of-image format of Room 237. And within the documentary genre there is room for sound design to be just as important and immersive as in any fiction film. 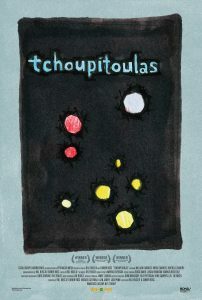 In 2011 I worked with Bill and Turner Ross on their film Tchoupitoulas. The movie was a documentary about New Orleans, but more specifically it was a portrait of a particular setting and time. The brothers filmed for 9 months, but then structured their film in editorial to take place as if all the events flowed past in one single night, from sunset to sunrise. 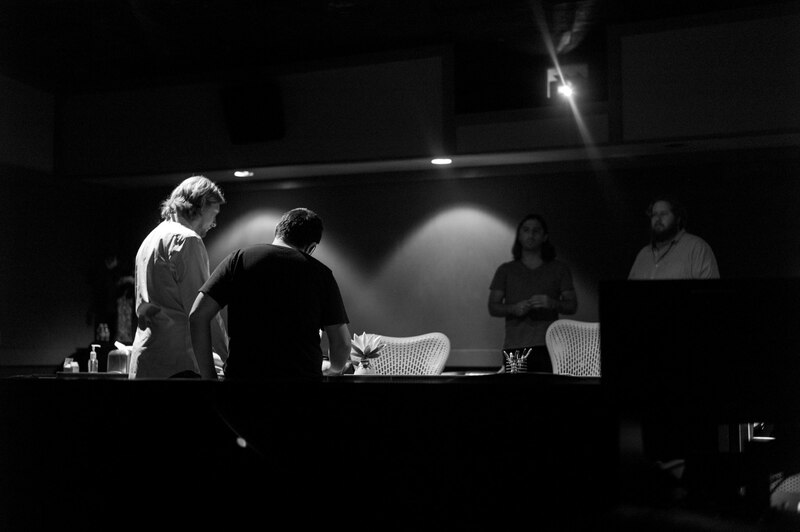 When talking to the directors about the sound for the film, they were very clear their goal was the pursuit of an “emotional truth” rather than a literal one. It was more important for the film to invoke the raw feeling of the French Quarter after dark, than the specific sounds of whatever scene was being shown at any given point. This allowed us to take the chains off of structure and format to create a blur of music and crowds, and transition the sound design from scene to scene in a dreamlike way, with sonic elements slipping and sliding in layers. We used perspective shifts, audio pre-laps, extended transitions, abstract sound design, and both diegetic and non-diegetic music, often all in the same sequences, throughout the film. Their film was all about a subjective truth, and as sound designers we know that subjective moments in storytelling are rich with creative audio potential. But while we were granted freedom of manipulation by the filmmakers, the setting of the film was still a real place, and there was a real truth that needed to be conveyed, even if not literally. So as the film was nearing picture-lock the producers flew me down to New Orleans for a week of field recording. Armed with a handful of mics, including a Holophone H3, we spent all night every night wandering every nook and cranny of the city and recording as much of everything as we possibly could. The purpose of this was two-fold, first and foremost we were building a library of authentic sound effects that we could use as building blocks for our constructed reality, so that even though its design might be artificial, the pieces themselves were all actual sounds of the city. From brass bands in nightclubs to street performers playing to the crowds, frogs and crickets by the railroad tracks, drunken tourists cackling, wind howling through condemned buildings, riverboat engines and waterfront birds at sunrise, we captured as much as possible. The second, and most important purpose, was experiential. As someone who has never lived in New Orleans, it was paramount that I knew what it was to experience the French Quarter, to see and feel the city, and in a way to live a little bit of the experience of the subjects of the film. Armed with that knowledge and the sound library we recorded, I now had the tools I needed to fulfill the directors request of creating a subjectively dreamlike and emotionally resonant soundscape for their movie. Now you don’t have to do this, and some projects don’t care what you use for sound design as long as it helps the story. In those cases you can use library sounds, synths, anything, and sound design them like you would on a fictional blockbuster, as long as the film supports it and it is within the director’s vision. But my personal preference is to travel and record as much as I can within the budget, for the reasons outlined above. An example of the other end of the spectrum is AJ Schnack’s 2013 political documentary Caucus. For this project the goal was for the camera to document as invisibly as possible the actual and honest inside mechanisms of the Iowa state 2012 presidential caucuses, to become the proverbial vérité fly-on-the-wall. Because of this it was imperative that nothing felt manipulated, even the musical score was sparing in its use. There was almost no sound design in that film, with the brunt of the post sound effort spent on getting the dialogue as smooth and intelligible as possible, and presenting everything in a factual straightforward way, adhering to the goal of being transparently objective. Now these two examples fall under fairly extreme sides of the equation. Most documentary projects exist somewhere in the middle. But the director’s barometer of truth and subjectivity is the most important thing as that will dictate the rest of the sound editorial choices made. And I don’t mean simply asking point blank “Hey, do you want us to edit sound effects or not?”, but rather seek out what the core of the film is about. The deeper truths, if you will. The documentary The Last Season may on the surface be about mushroom hunters in Southern Oregon, but more so it is the tale of two deeply scarred veterans forging bonds of healing and family in the wake of their memories of war. This knowledge impacted how we mixed the sounds of the forests and mushroom camps, and factored into decisions about when to slip into subjective spaces, such as when the characters recounted flashbacks for example. We could give extra voice to the winds and the woods, picking breezes that were tranquil but held a touch of sorrow, knowing that the search for inner peace was the emotional center of the film. And in the mix we would weave these sounds underneath and through the beautiful acoustical score (created by Beasts of the Southern Wild composer Dan Romer). Lastly, as I mentioned in my Tchoupitoulas example, because documentaries are dealing with real people, places, or events, if you can find a way to experience a bit of the subjects or environments of your project the more the film will benefit. It’s also a good motivation to get out in the world as much as possible. I know as sound folk we sometimes exist in silent caves for long stretches of time, but the more interactions we have with the world the greater the bucket of our own experience from which we can draw and put into our films, making the soundscape as real (whether literally or emotionally) as possible. And it truly does help. For the documentary Fight Church about Christian pastors who were also MMA cage fighters, I wouldn’t have known what it’s like to step into that environment if the directors hadn’t granted me ringside access to MMA bouts. The crowds we recorded and the punches and grunts from the training sessions were integral to the soundscape of that film. Experiencing that helped me edit and mix fight scenes that felt authentic but not over-the-top ‘Hollywood punch’ style. I think ultimately that is one of the reasons I love working in documentary film. While my workflow may be similar to a fiction film, I always feel a greater sense of connection to the subjects and events in my nonfiction projects. I do a little bit of learning, and a little bit of growing, and a piece of that project lingers on in my life afterwards in a way I find really special. Alongside the knowledge that what I am working on is a tangible part of the real world. We may be crafting a constructed soundscape, but to create an immersive and emotional experience within the director’s vision is to take the audience to a real place in the movie, an honest reality, a beautiful moment. And that is the truth that matters. Lawrence Everson is an award-winning sound editor and re-recording mixer specializing in documentary films. His past work includes 45365 (Independent Sprit Award, Grand Jury SXSW), TCHOUPITOULAS (Grand Jury Ashland, Hot Docs Emerging Artist Award), FIGHT CHURCH (Grand Jury Boston), THE LAST SEASON (Golden Gate Award SFIFF), CAUCUS (AFI Docs Closing Night Film), GLOW (Best Documentary Comic Con, Audience Choice Award Sidewalk), VANISHING OF THE BEES, and many others. Lawrence’s documentary work has taken him on adventures around the world, recording sounds as diverse as wild lions in Zimbabwe, thunder in the mountains of Bhutan, and wind and snow at Mt. Everest Base Camp. Outside of documentary film, Lawrence’s career includes sound design for video games, television, radio theater, and immersive training environments for the US Army. 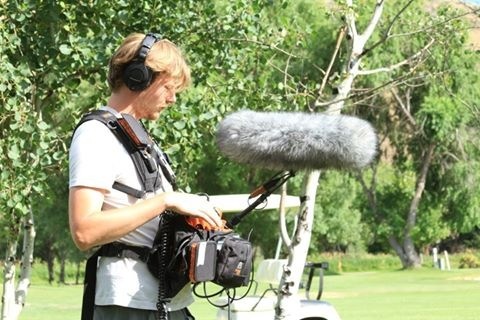 An alumn of USC’s School of Cinematic Arts, Lawrence is passionate about the importance of sound as a storyteller and world-builder in the art of film. He also likes to push buttons and have things make noise. He can be found at www.LawrenceEverson.com. Well said, and a good read. Thanks for putting this together. Thanks for the kind words guys! My pleasure!